Siwertell’s Modular Belt Conveyor System comprises precision-engineered, lightweight, prefabricated frame modules, which can be designed horizontally, or to various inclines. Some machines work so well that their technology is often not revisited. Belt conveyors, which quickly transfer goods from one location to another, are one of them. This straightforward technology, with its impressive operational expenditure profile, means that today, moving sidewalks are used at airports to convey people only slightly faster than walking speed. However, even as other original equipment manufacturers take belt conveyors for granted, Siwertell’s engineers believe that any technology, even the most widely-accepted and implemented, can be improved. Earlier this year, Siwertell completed the first installation of its new, modular conveying system at a coal intake terminal in Cilegon, Indonesia, operated by industrial chemical producer, Asahimas Chemical. Used to transfer bulk cargoes from unloaders to depot, this modularised version of Siwertell’s standard belt conveyor system was developed in late 2014. It comprises precision-engineered, lightweight, prefabricated frame modules, which can be designed horizontally, or to various inclines. Once these are mounted in place, a conveyor belt is installed along the entire length of the modules; different belt widths are available, ranging from 1 to 2.6 m in 200 mm increments. 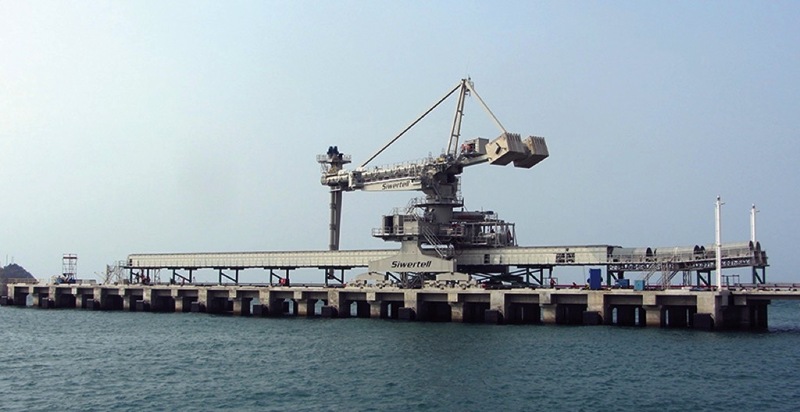 The Siwertell System at Cilegon, Indonesia includes one ST790 D-type shipunloader and two belt conveyors. The Siwertell system at Cilegon includes one ST790 D-type shipunloader and two belt conveyors, each capable of unloading cargo at 1400 t/h. 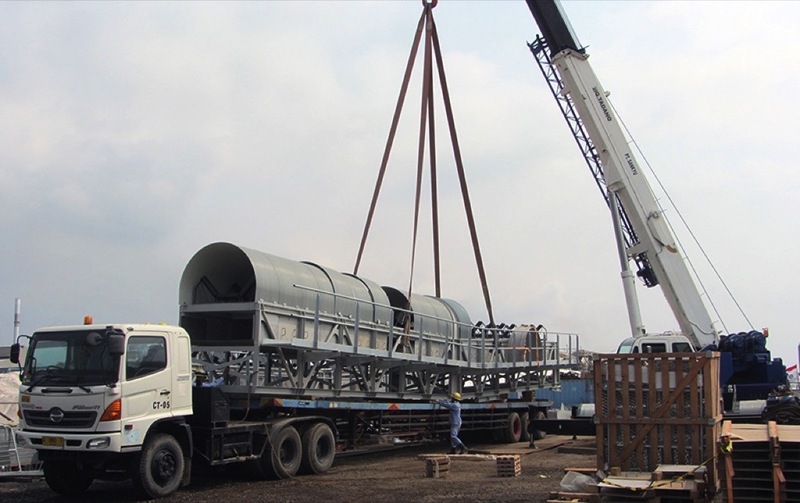 The unloading system is designed for handling coal, destined for use at a local power production plant, which was recently commissioned by Asahimas. The coal is transferred to the warehouse via the two parallel 211 m long belt conveyors, forming an integral part of the total cargo handling system that supplies coal to the power plant’s boilers. With the help of an assisting crane, the pre-assembly phase of the installation, involving the assembly of the 18 m prefabricated module sections, was completed in the space of only two days. Components of the system were transferred to the site under the supervision of Siwertell. With the help of an assisting crane, Siwertell supervisors were able to complete the pre-assembly phase of the installation, involving the assembly of the 18m prefabricated module sections, in the space of only two days. “All frame parts had temporarily been assembled during manufacturing, which facilitated the entire pre-assembly and installation processes,” explains Fredrik Gustavsson, Siwertell Surveyor, who worked on-site in Indonesia during the project as an assembly supervisor. “The main advantage of our modular belt conveyor system is the massive reduction in the time it takes to pre-assemble and install the modules. In many ways, it reminds me of building with Lego. 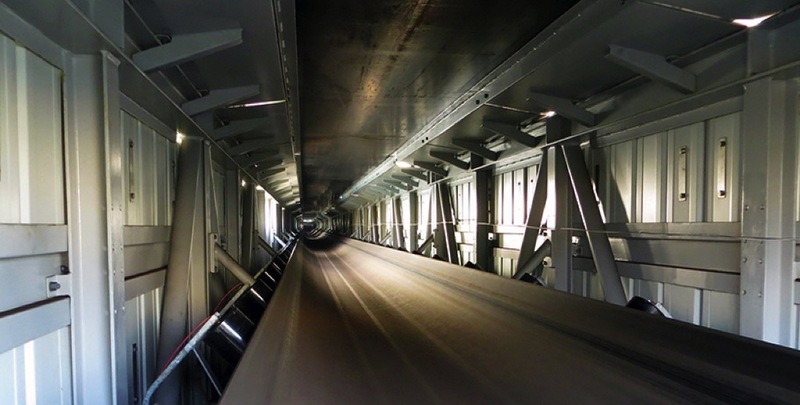 Belt conveyor systems offer many efficiency and capacity advantages over other types, making them an excellent choice where large-scale bulk handling capacity is required. 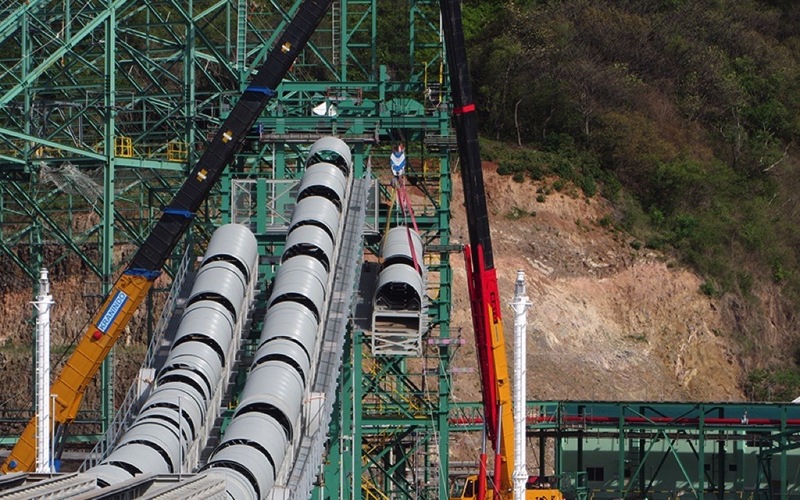 Sometimes they are the only choice, as with very high-capacity applications, such as coal handling, where Siwertell’s largest screw-type unloader system is capable of discharging at a rate in excess of 3000 t/h. Belt conveyor systems offer many efficiency and capacity advantages over other types, making them an excellent choice where large-scale bulk handling capacity is required.